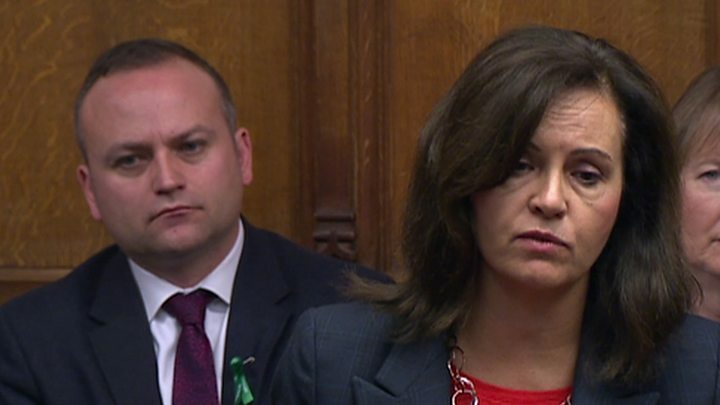 Some people will be worse off under universal credit - but they can take on more work to increase their income, the minister in charge says. She told the BBC some people would lose out because the government had made "tough" spending decisions in 2015. But she insisted the most vulnerable would be protected. 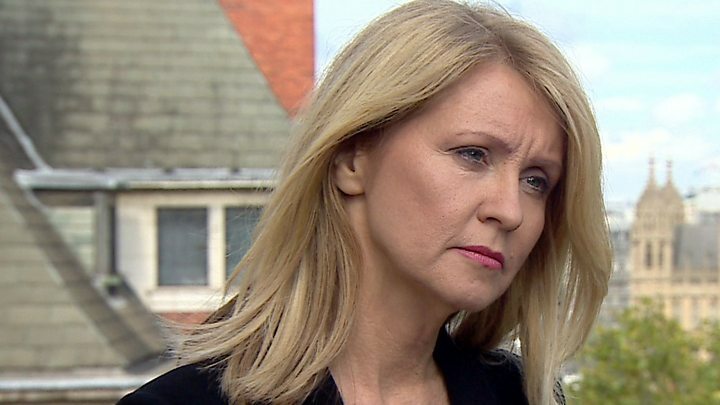 Challenged over one estimate that three million people would be about £1,800 a year worse-off, Ms McVey told the BBC: "I have said we made tough decisions and some people will be worse off." Earlier, the former Conservative prime minister Sir John Major warned universal credit was being rushed in without enough funding. Currently being phased in for different types of claimant across the UK, it is aimed at making the benefits system simpler and more flexible so people who are able to work are rewarded for doing so. Universal credit has been criticised for running over budget and causing delays to people's payments, but the plan is to move all existing benefit claimants on to it next year. Asked about those reports, she told BBC News: "Some people could be worse off on this benefit. But a thousand people every day since 2010 have gone in to work." Ms McVey also hit back at criticism from Sir John Major, who has warned that universal credit could hurt current prime minister Theresa May in the same way the poll tax hurt the then prime minister Margaret Thatcher in 1989 and 1990. Ms McVey said she "knows more about universal credit" than the former Conservative prime minister. But the government is facing growing calls from Conservative MPs - including the architect of the system Iain Duncan Smith and other backbenchers facing complaints from constituents - to scrap a promised income tax cut and instead pump more more money into universal credit. Speaking at Prime Minister's Questions on Wednesday, Theresa May said "people who are moved on to universal credit... will not see any reduction" in their benefits. Labour's shadow work and pensions secretary Margaret Greenwood said: "Now that Esther McVey has admitted that people will be worse off under universal credit, this Conservative government has no excuse for pushing ahead with their shameful programme. "This exposes Number 10's claim this week that no family will receive less money under universal credit as fiction." Labour leader Jeremy Corbyn said the universal credit system "has to change very, very rapidly" and that Labour will be proposing "a more comprehensive system" in which nobody would be "worse off". Speaking in Bristol, Mr Corbyn said that Labour would "immediately stop the process" of the nationwide rollout and would maintain "existing levels of benefit immediately". The switch to universal credit will create some winners, the Resolution Foundation says, with 1.1 million households an average of £53-a-week better off. But, overall, working families will be worse off than under the current benefit system, with the biggest losers likely to be people with children who are currently in receipt of tax credits, analysts say.